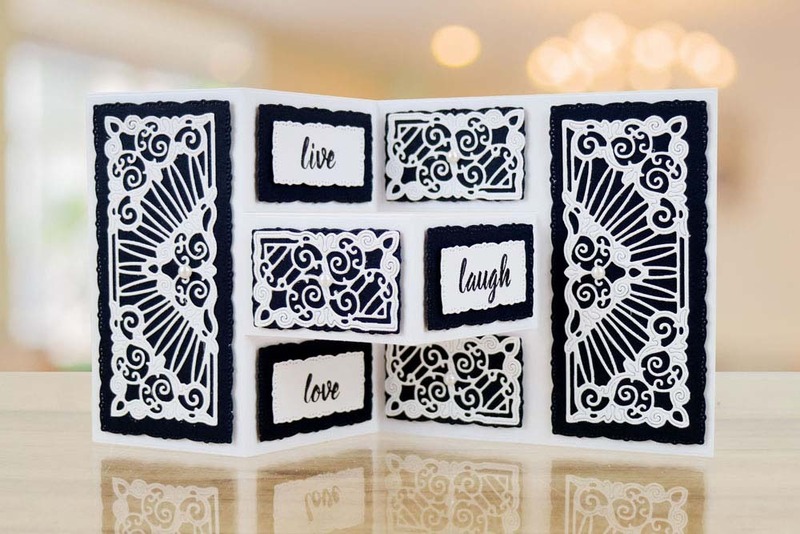 Creating shutter cards has never been so easy simply die cut your base using the machine, all the score lines are there ready for you to simply fold and there you have it a double shutter. 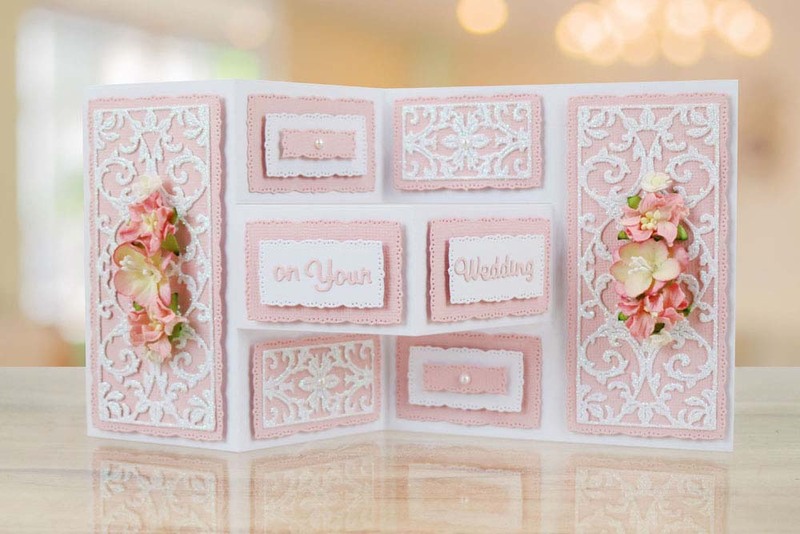 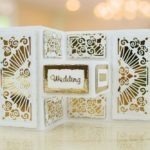 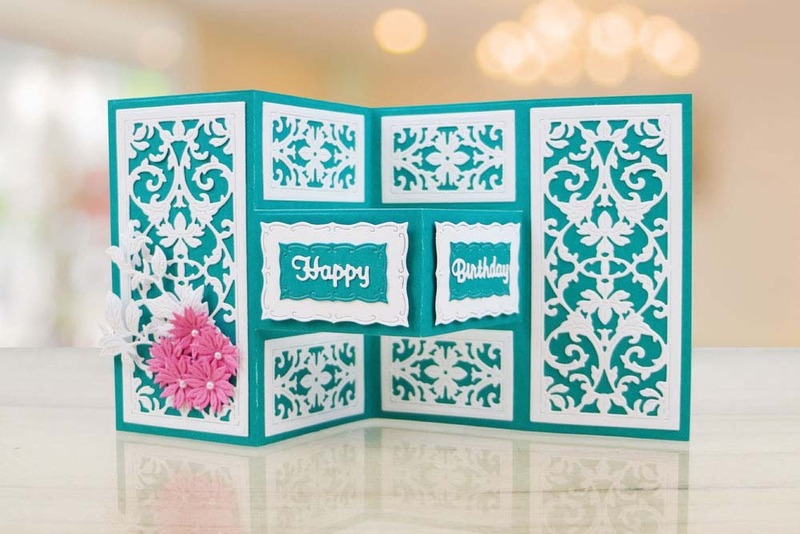 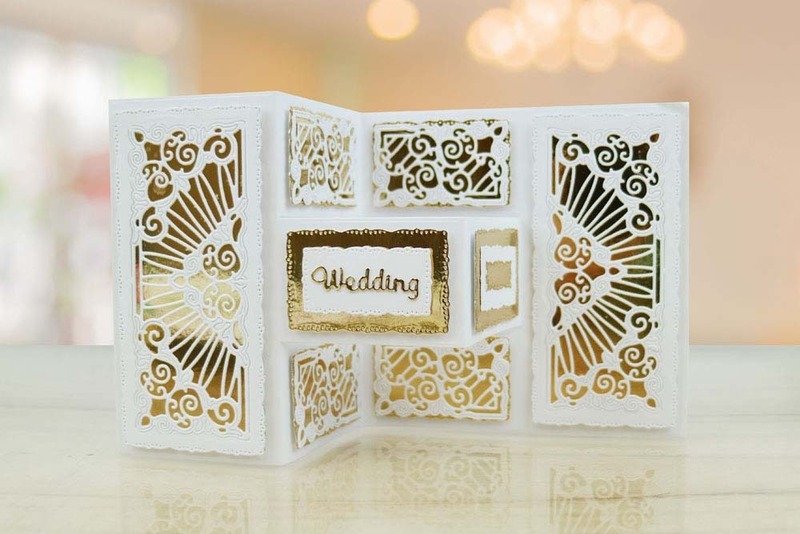 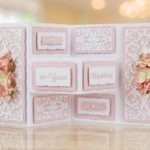 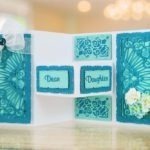 Then all you need to do is put your choice of layering dies through the die cutting machine and apply them to your shutter card to make beautiful results every time. 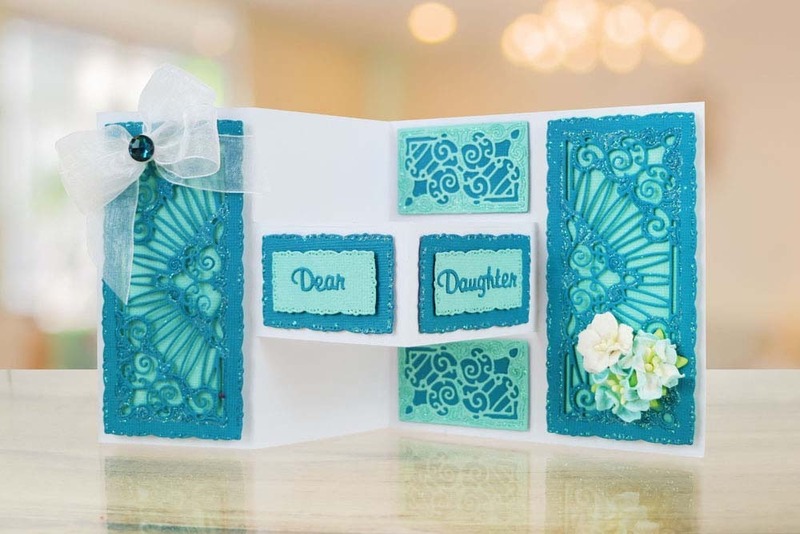 With a variety of plaques so you can mix and match and create unique projects every time. 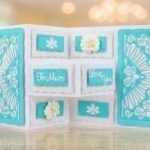 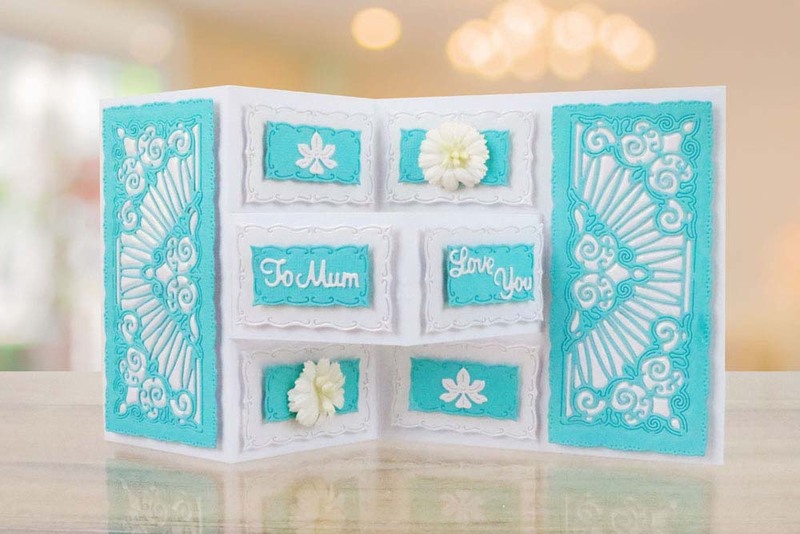 The 5×5 shutter card die includes 8 different words that can be mixed and matched to create different sentiments including ‘To’ ‘Dear’ ‘You’ ‘Mum’ ‘Dad’ ‘Son’ ‘Daughter’ ‘Love’. 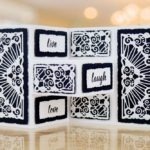 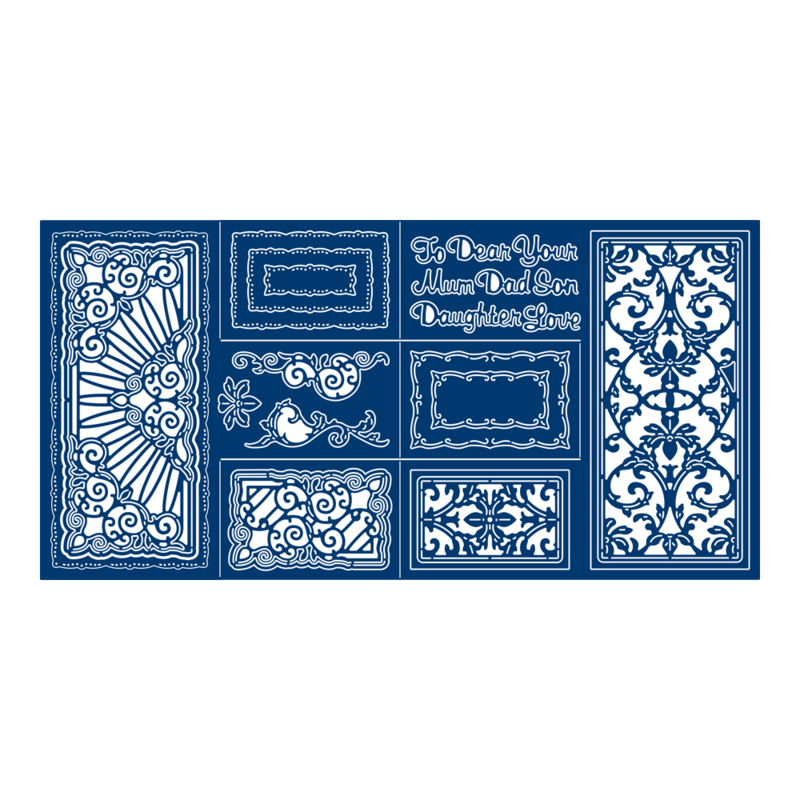 These words enable you to create sentiments for the whole year round and any occasion you need to craft for, making this a new staple for your Tattered Lace Collection.